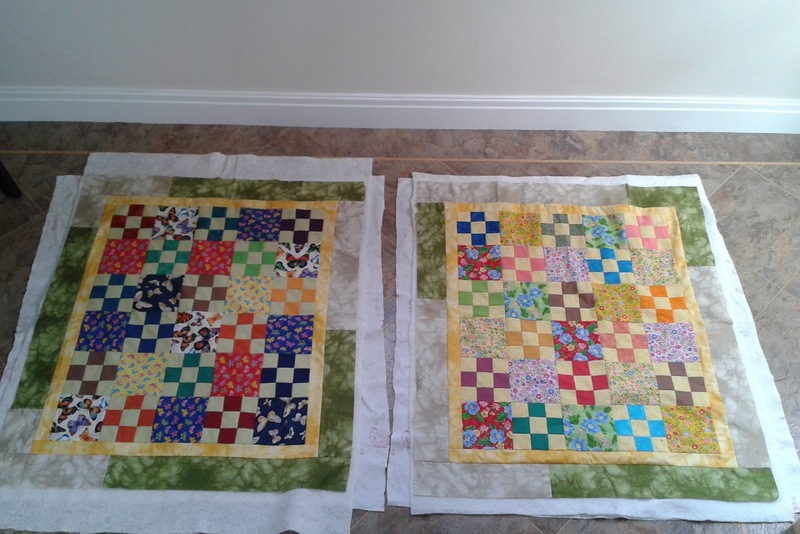 It wasn't until lunchtime yesterday that I realised that despite attaching the final borders to both of the baby mats, thus finishing the tops, I had run out of vital supplies needed to get them quilted, which I certainly want to get on with this weekend. I made a frantic phone call to ASding, who had my order packed and dispatched in short order and it arrived here this morning by 9.0am. What brilliant service! Not only were the stops pulled out to dispatch the same day, the parcel was sent out first class so I would receive it this morning, and I was only charged the standard postage and packing. So a huge thank you to Ali for going well beyond the call of duty, and getting me out of a fix! Applause all round. Ali & Sue at ASding always go the extra mile and your baby quilts are looking frighteningly gorgeous! Credit where it's due, eh? And thank you for liking the baby mats! I visited their site and enjoy how our terms differ. Your "wadding" and our "batting" both sound pretty funny to me. Your little quilts are adorable. They are funny terms, aren't they? Mind you, I think using a 'stick of butter' is funny in recipes too! Happy to be of service, we understand quilting emergencies very well here :). The quilts are looking great, have a fun stitching weekend. What you say about their service is so true. Perhaps that is because it's run by quilters who know what it's like to have the bit between our teeth, only to realise we've made a supplies c*ck-up. Whatever the reason for it is, it is very good customer service!